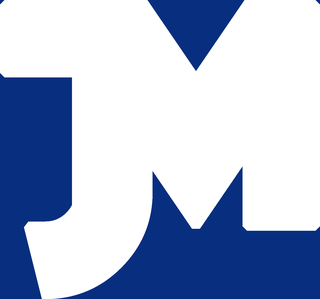 Takuya Taniguchi was born in 1983 in Fukui, Japan. Since 2011 he lives in Munich, Germany. Pursuing the path of his master EITETSU HAYASHI, the most famous Japanese solo drummer (a co-founder of the KODO and ONDEKOZA, who was the only one to hold a solo concert at the Carnegie Hall and the Berlin Philharmonic Orchestra), Takuya Taniguchi with his artistry builds a bridge between the Taiko traditions of the Japanese drums and that of the different cultures of the world. 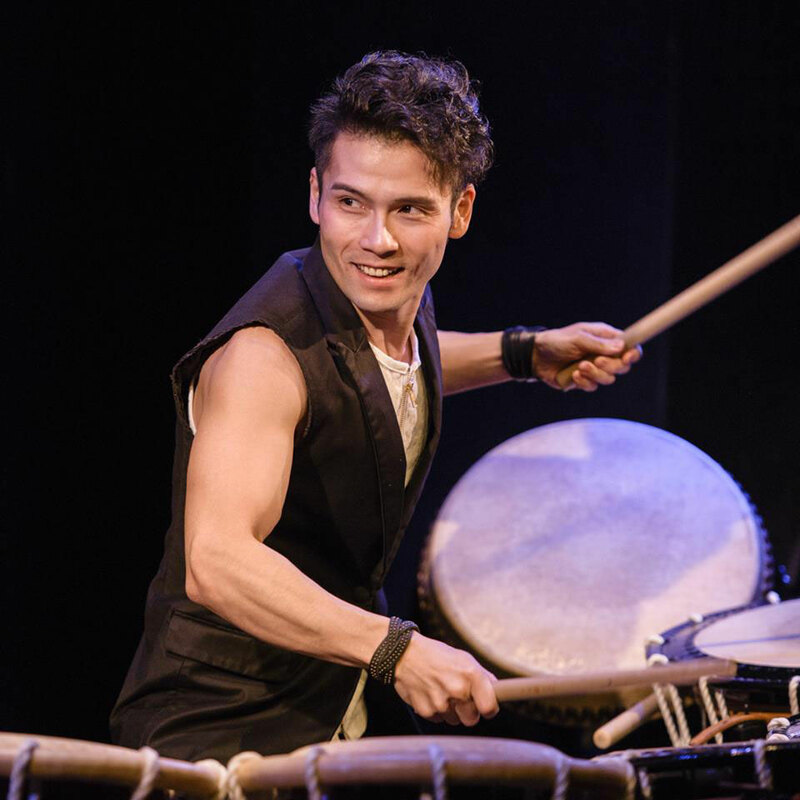 "Takuya Taniguchi has been playing the Taiko from the age of three. At the age of 16, he founded a Taiko group "TENRYU-DAIKO". In July 2002 he won a special prize of the "Viennese World Youth Music Festival" in Vienna. In 2003 he was accepted into his master Eitetsu Hayashi's ensemble "FUUN-NO-KAI". After that he was involved in the "International Taiko Festival Ecstasia", the "Count Down Concert" in the Osaka Festival Hall, the "Tokyo Summer Music Festival 2004" and the "Shimanami Music Festival". In 2005 his collaboration with Jazz pianist Walter Lang has begun at the Kaze no Mori Hall in Fukui/Japan. In 2006 he gave a guest performance at the National Theater in Tokyo with "KU-KAI-SEN-KYO". Since 2009 the exchange with musicians with different cultural backgrounds has increased with growing number of invitations from the West. He has been holding concerts and seminars in Europe to impart his knowledge and experience in his Taiko artistry. In 2010 he released the CD "Friendship" with Walter Lang, and held many concerts with him in Germany and Japan, amongst others in the Civic Hall in Tokyo. Under a director Masaru Sekine's supervision, he appeared in "Macbeth" together with No- and Kyogen actors and Jean-Baptiste Monnot (Church organ) at the "National Art Festival" in Tokyo. He has also been teaching the Taiko performance to the Buddhist monk. In 2011 Takuya Taniguchi has become a regular member of the German drum group "Drumaturgia" and has successfully completed many concerts all over Germany. He has been on tour with the "World Percussion Ensemble" and Walter Lang in many cities in Europe and in Japan. The production "Ophelias Schattentheater" by the German composer Wilfried Hiller brought him with the Henschel Quartett and the Munich radio orchestra together. In winter 2011/2012, he appeared many times on stage with his master Eitetsu Hayashi in Tokyo. His main works for 2012 include all kinds of festivals, developing novel drum concept with Drumaturgia and the world tour with the "World Percussion Ensemble." At the same time, he will dedicate himself more in mediating the classical Taiko performance in Europe by holding master courses and workshops. 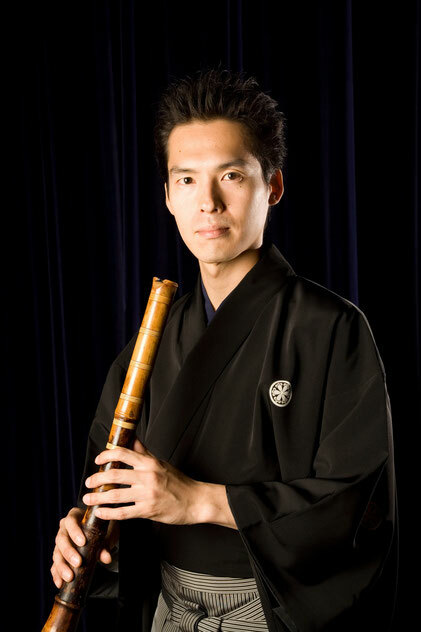 Born in Kagawa Prefecture in 1975, Obama studied various styles of shakuhachi under leading musicians such as Toshimitsu Ishikawa (traditional shakuhachi) and Satoshi Yoneya (minyo [folk music] shakuhachi). After graduating from the NHK Hogaku [traditional Japanese music] Gino-sha Ikusei-kai, the premier one year course for hogaku musicians aspiring to be professional performers, Obama won the Second Annual Shakuhachi Newcomer Competition (2000). In recent years, Obama draws on his musical experiences and incorporates these influences into his own music. In 2004, Obama recorded his first solo shakuhachi album Fukoku [Wind Carvings] featuring improvised works. During the following year, he undertook a walking pilgrimage concert tour to the eighty-eight temples of Shikoku Island and revealed his second album Nami to Tsubaki to [Waves and Camellias and] consisting of his original compositions. In 2006, Obama was invited to the Swedish International Festival of Wind Music holding solo concerts and appearing with local musicians. This was followed by a month long tour of Europe. In 2007, Obama released visions. collaborating with electronic music artist hajimeinoue. In 2008, Obama was invited to the Japan Festival at The Kennedy Center (Washington, DC) and the Sydney World Shakuhachi Festival. He released Michinone [Street Music, New Sounds] working with satsuma-biwa [Satsuma plucked lute] player Yukihiro Goto. In 2012, Obama lived in New York for six months as a fellow of Asian Cultural Council (ACC) and released SUI [Water] with his band. Currently, Obama performs as a solo musician and participates in various ensembles including “TAKiOBAND” led by Takio Ito, a minyo singer. He often appears in concerts overseas and has performed in over 30 countries. Obama has developed and refined his technique by performing in venues from small clubs to large concert halls with artists playing hogaku instruments and Western instruments. This has allowed him to penetrate traditional barriers and discover his own distinct sound. Karin Nakagawa was born in Tokyo and raised in Ibaraki-Japan. Today she lives manly near Burghausen in Germany and in Yokohama-Japan. Being raised in a family of musicians she started learning the piano at the age of three, and changed to the study of the 25-string Koto at the age of 12. By the age of 14, she had already played her first Koto concert featuring her own compositions. She studied at the “Tokyo University of Arts” the traditional “IKUTA-Koto and the JIUTA-SANGEN Style” (traditional 13-string Koto, Shamisen & Japanese singing). 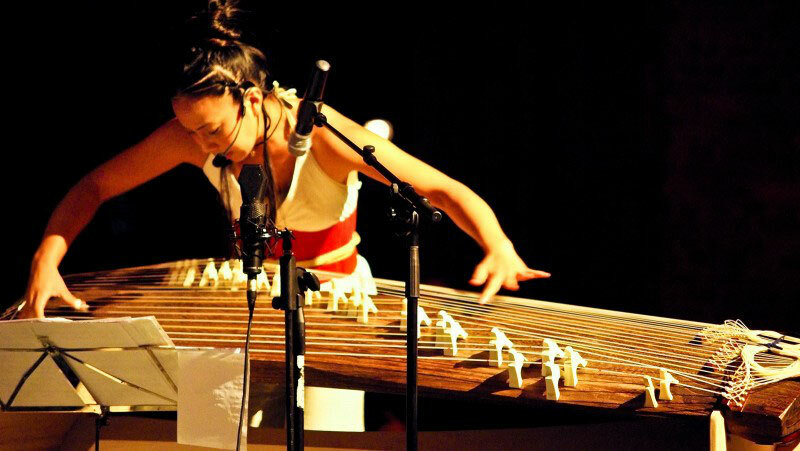 After graduating, she began performing as a “Storyteller” with her 25-string Koto and has been seeking new means of expression by working with various artists from different fields, developing her own singing style in the process. Today she has become mainly one of the very few experts of the 25-string Koto, inspired and taught till today by her Master, the well known Japanese Prof. Keiko Nosaka (Souju Nosaka). Being always well known for her versatility in improvisation, Karin collaborates with musicians from Eastern-, Western- and Folk traditions, as well as Jazz and Contemporary styles. Not being limited to speciﬁc genres or ﬁelds, she also collaborates with Storytellers, Actors, Dancers and Painters… etc. from all over the world. “Ikimono-Gakari” – recorded on the Album “Hajimari-no-uta” 2009. Thus far, Karin has held concert tours in over 20 countries around the world, having lead and composed a big number of various performing acts, including tours sponsored by the Japan Foundation such as those in: Sweden 2000, in Africa 2007 and in Southeast-Asia 2010. Since 2013 she is also collaborating and touring with the well known Swedish musicians Lena Willemark and Anders Jormin to present the Swedish Grammy Award 2016 winning Album ” Lyöstraini – Trees of Light ” – released together in spring 2015 with ECM-records. Through her roots in the ancient music of Japan -the sound of the wind and the rain, and songs sung during the planting of rice- as well as through her unique and emotional way of performing the Koto with her voice, Karin continues to spread the essence of Japanese soul and heritage to the whole world. A Student of Takuya Taniguchi.